Alexandria, VA—The King Street Corridor Initiative, a partnership focusing on beautification, programming and marketing of Alexandria’s historic downtown corridor and spearheaded by the City of Alexandria and Visit Alexandria, is pleased to announce that since the initial June 2018 announcement of the program’s Founding Funders, several new private sector partners have pledged their support. The Alexandria Chamber of Commerce joined at the Community Contributor level while Asana increased their support from Neighborhood Partner to Lead Partner. Additionally, Augie’s Mussel House and Urbano 116 joined as Neighborhood Partners and the Old Town Business and Professional Association also pledged a financial contribution to the initiative. The initiative, valued at nearly $1 million largely from the City of Alexandria’s budget, includes Visit Alexandria’s $175,000 fundraising effort from the private sector. “The Chamber is so pleased to support this public-private partnership to enhance Alexandria’s competitiveness,” said Virginia "Gin" Kinneman, chair of the board of directors for the Alexandria Chamber of Commerce. Significant strides toward increased beautification, programming and marketing are underway, including new flower baskets that were installed throughout King Street in August and additional maintenance staff added to keep King Street clean. Portside in Old Town, a free-to-the-public waterfront programming series, kicked off in October with the Portside in Old Town Festival. Nearly 9,000 people attended the three-day festival, enjoying free tours of the tall ship Godspeed, a waterfront beer garden from Port City Brewing Company, a pop-up Pizzeria Paradiso, Portside History activities presented by the Office of Historic Alexandria, plus live music, fitness and art activities. Increased marketing of Old Town to the D.C. regional audience launched in August and a new program of seasonal street lamp banners along King Street started in September. The King Street Corridor Initiative also supports the Uptown Block Party, a neighborhood party featuring 25 shops and restaurants on upper King Street happening on November 3, 2018, the Lighted Retail Window Display Grant Program, a partnership with the Alexandria Small Business Development Center that assists local retail businesses with funding for lighted holiday window displays, and Portside in Old Town Holidays programming, which will include pop-up happenings such as story time with Santa, a hot chocolate bar, a Pacers holiday run meet-up, plus activities at major events such as the Alexandria Holiday Boat Parade of Lights, Waterskiing Santa show, and First Night Alexandria on New Year’s Eve. 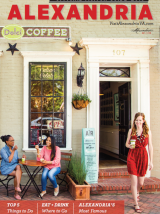 The King Street Corridor Initiative is a partnership focusing on beautification, programming and marketing of Alexandria’s historic downtown corridor, spearheaded by the City of Alexandria and Visit Alexandria. City of Alexandria partners include the Department of Project Implementation, Department of Recreation, Parks and Cultural Activities, Office of Historic Alexandria, and the Department of Transportation and Environmental Services. Founding private sector partners include Lead Partners: Alexandria Restaurant Partners, Alexandria Hotel Association, Asana, Carr Hospitality and TTR Sotheby’s International Realty; Community Contributors: Alexandria Chamber of Commerce, EYA and the Tall Ship Providence Foundation; and Neighborhood Partners: Augie’s Mussel House, Chadwicks Restaurant, Pizzeria Paradiso, Port City Brewing Company, Potomac Riverboat Company, and Urbano 116. The Old Town Business and Professional Association has also pledged a financial contribution to the initiative. The King Street Corridor Initiative is further supported by a $25,000 grant from the Virginia Tourism Corporation Marketing Leverage Program for the launch of Alexandria’s expanded waterfront and downtown experience.